Cuernavaca, the “City of Eternal Springtime” serves as Raymundo Gonzalez’s blank canvas from which he paints and draws what he sees: a mix of Spanish and Indian cultures, fiestas, traditions, myths, and colors. His art captures these cultural images beautifully, giving the viewer a taste of both reality and fantasy. Gonzalez depicts the real side of Mexican culture with energy and life, yet manages to keep from stifling the viewer’s own imagination. This book is certainly a bright and rich addition to anyone’s home and will carry the hearts and minds of viewers into a playful and yet meaningful journey through a magical Mexico. SKU: 978-0-98108007-2. 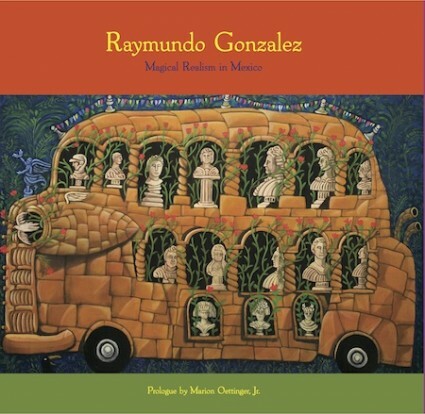 Categories: Books, New Releases, Raymundo Gonzalez. Tag: nf.